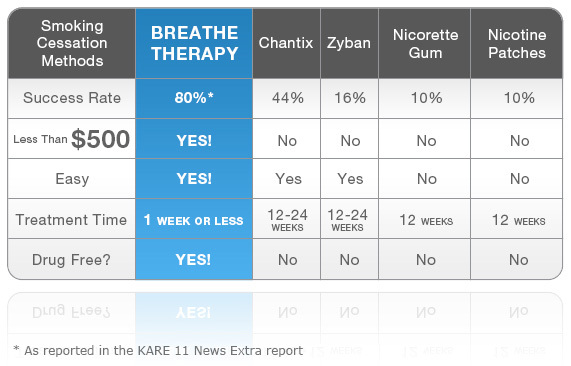 All costs noted for the Nicotine Replacement Therapies compared, are based on 12-24 weeks of treatment supply of patches, pills or gums for a common patient. All prices, success % and other information noted, as gathered through 1st and 2nd hand sources – June 2007. Costs and success rates of individual practitioners or clients may vary. Source information available upon request.